Mr. Davidoff has extensive experience representing clients in a wide range of business disputes involving complex commercial transactions and employment issues. 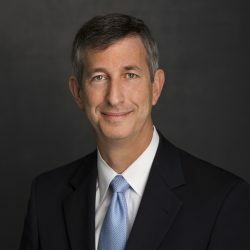 His business and finance experience allows him to quickly understand the unique nature of each of his clients’ businesses and the transactions at issue, and to incorporate that understanding into an overall litigation strategy consistent with his clients’ objectives. Mr. Davidoff routinely prosecutes and defends claims arising from employment relationships, business contracts, real estate transactions, securities transactions, partnership disputes, and insurance coverage matters. Mr. Davidoff also provides his clients advice and counsel on a variety of employer/employee issues, including matters pertaining to wrongful termination, employment discrimination, wage and hour compliance under the FLSA, covenants not to compete, unfair competition, and trade secrets. His ability to understand, analyze, and simplify complex legal issues consistently yields positive results for the firm’s clients. Mr. Davidoff’s clients include large and mid-sized corporations, real estate ventures and partnerships, insurance companies, and medical practices. He prides himself on being thoroughly prepared for all eventualities and planning strategically from the outset so that legal steps taken are in sync with predominant business goals and economic realities. Mr. Davidoff serves as a member of the firm’s executive committee. Mr. Davidoff successfully defended a large disability carrier in federal court where the plaintiff sought millions of dollars in damages. After a two-week trial, the jury found in favor of the company on all issues. Mr. Davidoff prosecuted claims for and defended claims against several limited partners in connection with their decision to dissolve their real estate venture, all resulting in a favorable distribution of the venture’s assets to his clients. Mr. Davidoff has successfully represented numerous individuals and professional practices and corporations in connection with a variety of employment issues, including covenants not to compete. Mr. Davidoff successfully negotiated the settlement of a lawsuit against a municipality, which resulted in a significant extension of a client’s non-conforming land use. Mr. Davidoff successfully defended a national health insurer against a claim by a former agent who filed suit seeking millions of dollars in damages based upon his allegation that the company had improperly calculated commissions and premium rates for certain policies. After a week-long hearing, the arbitration panel ruled that the agent’s claims were without merit, and held in favor of the company in all respects.